The Dialectical Behavior Therapy Intensive Training™ is a ten-day course designed for those who have begun learning DBT® methods from self-guided study of the treatment manuals and introductory workshops. This training is intended for teams that are invested in learning DBT to a high standard in order to better implement the treatment in their settings. As DBT is a treatment that requires an ongoing consultation team, the Intensive Training is designed for treatment teams, not individual practitioners intending to practice alone. A DBT team (minimum of 3*, maximum of 8) is a group of mental health professionals who meets at least weekly to assist each other in applying DBT in their practice setting. 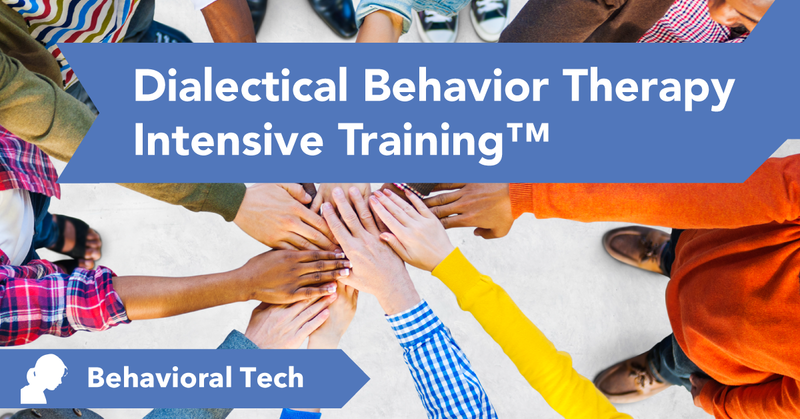 With the intent to provide the highest quality training experience, it is our goal to have a maximum of eight teams for each Dialectical Behavior Therapy Intensive Training™. Teams should discuss and clarify their level of commitment prior to completing their application as course enrollment is limited, and there is a competitive demand for Intensive Training. Training is conducted in two five-day sessions of instruction divided by six to nine months of home study. In Part 1, lectures, videotapes, and small group exercises are used to teach DBT theory and strategies in-depth. Between the first and second sessions, participants consolidate and apply what they have learned with the help of practice assignments. Between sessions, teams design and begin to implement their own DBT programs or to integrate DBT into an ongoing treatment setting. In Part 2, each team presents their work and receives expert consultation on specific cases and on their program, including protocols for specific treatment problems and adaptations of DBT. The DBT Intensive Training involves rigorous preparation, training, and homework. Part 1 and Part 2 are both five full days of training. The course is designed to model basic elements of the treatment in an experiential way and to foster team development. Just as DBT requires clients to make a full commitment to treatment and to attend all sessions, DBT training requires Intensive participants to attend the entire training, do their best to learn the material, and participate in a willing, committed manner. Participate in a DBT Consultation Team. Demonstrate Consultation Team strategies used in DBT. List the modes, the functions, and the typical treatment agreements made in DBT. Implement the structure, goals, and stages of DBT. Teach the four DBT® skills modules (Core Mindfulness, Interpersonal Effectiveness, Emotion Regulation, and Distress Tolerance). Explain the diagnosis of Biosocial Model of Borderline Personality Disorder (BPD) and other severe disorders in all required treatment contexts. Create DBT treatment plans for clients using targeting procedures. Explain the dialectical nature of DBT. Demonstrate how dialectics are used in DBT. Conduct Cue Exposure and Response Prevention. List the steps in Problem-Solving. Conduct complete Behavioral Chain Analyses and solution analyses. Implement the Cognitive-Behavioral strategies in DBT. Identify the levels of validation and the contexts in which they apply. Demonstrate the use of validation to balance the change strategies in treatment. Demonstrate the different communication strategies of DBT. Implement the DBT case management strategies. Implement telephone coaching and other generalization strategies of DBT. Apply suicide crisis protocols of DBT. Discuss the DBT research for different populations. Demonstrate comprehension of important concepts in DBT. Demonstrate the ability to apply important concepts in DBT. Demonstrate the ability to appropriately apply DBT strategies in my own cases and appropriately evaluate the use of DBT strategies in others’ cases. Demonstrate use of DBT commitment strategies. Identify in-session dysfunctional behaviors and use DBT strategies to treat them. Use DBT strategies to better manage skills training problems. Identify team problems and use DBT strategies to resolve them. Design DBT service programs, appropriately implementing and modifying DBT protocols for my particular setting and patient population. Formulate plans to evaluate my program/services. Discuss the take-home exam assigned in Part 1 and consequently better understand important concepts in DBT. Discuss homework assignments involving the application of the treatment and consequently better understand how to apply the treatment. Understand and apply the treatment after my team’s program presentation. Use techniques for strengthening and using the DBT consultation team. Practice the techniques of DBT by role-playing, as coached by the instructors and be better able to describe and apply treatment strategies. Teach mindfulness skills, interpersonal skills, and emotion regulation skills as detailed in the DBT skills training manual. View and discuss videotaped segments of DBT as modeled by expert therapists and be better able to describe and apply treatment strategies. Understand and apply the treatment after my team’s case presentation. CE NOTE: Behavioral Tech calculates the continuing education credits for this training by the start time and end time. 100 percent attendance is required, as is signing IN and OUT each morning and afternoon, to receive CE credits. Partial credits cannot be issued. Seattle, WA (United States) Anthony P. DuBose, PsyD, is the Chief Training Executive & Director of CE/CME for Behavioral Tech, LLC, the company founded by Marsha Linehan, PhD, ABPP, for the dissemination of evidence-based treatments. He is a Founding Member and serves on the Advisory Board of the Evidence Based Treatment Centers of Seattle, PLLC. Dr. DuBose received a doctoral degree in clinical psychology from Pacific University of Oregon. He completed his predoctoral psychology internship at Western State Hospital in Lakewood, WA, and his residency requirements for psychology licensure as a postdoctoral fellow in clinical child psychology through the University of Washington's Department of Psychiatry and Behavioral Sciences. Before training as a psychologist he completed a Master of Science degree in counseling from Loyola University of New Orleans and worked as a family therapist upon completion of that degree. Dr. DuBose is licensed as a psychologist by the state of Washington since January 1998. His interest in suicidal and self injurious behaviors developed when working with severely suicidal adolescents at the Child Study and Treatment Center, the state psychiatric hospital for children in Washington, where he served as director of the older adolescent program from 1997 to 2001. His experience includes treatment of adults, adolescents, children, families, and inpatient adolescent populations. He is a recognized expert in the use of Dialectical Behavior Therapy in the treatment of suicidal and self-injurious behaviors in adults and adolescents, borderline personality disorder, and substance use disorders. He holds appointment as a clinical assistant professor in the University of Washington Department of Psychology. He collaborates with Marsha Linehan, PhD, ABPP, and other researchers on the study of DBT, particularly related to its dissemination and implementation. He has a particular interest in implementation of evidence-based treatments in systems and has trained and consulted with providers in the United States, Australia, Canada, Egypt, Europe, the Republic of Korea, New Zealand, and South America. Vibh Forsythe Cox, PhD, serves as the Training and Development specialist for Behavioral Tech, LLC (BTECH), the training organization founded by treatment developer, Dr. Marsha Linehan. 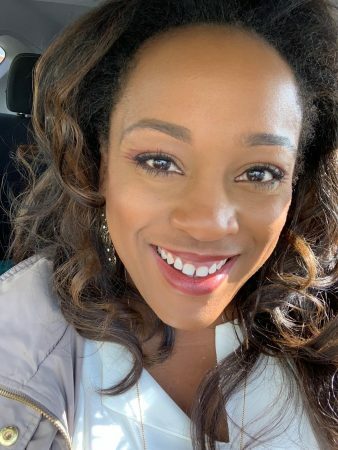 She serves on the team that creates content for BTECH’s training offerings, including the newly released Online Comprehensive Training in DBT. She provides consultation to newly forming DBT teams within the online learning platform. She works as a therapist at Cadence Child and Adolescent therapy, a DBT-Linehan Board certified DBT program in Kirkland, Washington. There, she provides DBT and other evidence-based treatments for teens and adults with emotion regulation difficulties. Dr. Forsythe Cox earned her PhD in Clinical Psychology at The Ohio State University, where her research focused on characteristics of Borderline Personality Disorder and interpersonal emotion regulation. During her time at The Ohio State University, Dr. Forsythe Cox participated in specialized training in DBT, and assisted the Director of the DBT program by providing supervision and consultation to new trainees. She was also the 2012 recipient of the Psychology Department’s Meritorious Teaching Award. Dr. Forsythe Cox has experience providing DBT in a variety of settings, including university-based research, inpatient and outpatient hospitals, forensics, and private practice facilities. She is a Clinical Instructor in the Department of Psychology at the University of Washington, where she provides individual and group supervision to doctoral psychology students in the Behavioral Research and Therapy Clinics (BRTC). Dr. Forsythe Cox has also been an invited speaker at high schools, community colleges, and the University of Washington. Dr. Forsythe Cox is licensed as a Psychologist in the state of Washington. Linehan, M.M. (2015). DBT® Skills Training Manual: Second Edition. New York: Guilford Press. Linehan, M.M. (2015). DBT® Skills Training Handouts and Worksheets: Second Edition. New York: Guilford Press. Linehan, M.M. (1993). Cognitive-Behavioral Treatment of Borderline Personality Disorder. New York, NY: Guilford Press. The DBT Intensive Training is designed to help attendees build an effective treatment program. DBT is a treatment that requires an ongoing consultation team. Therefore, the training is only open to teams consisting of three to eight people. Individuals and teams of less than three will not be accepted. Each team member is expected to attend the entire ten days of training. I agree to terms of attendance – I am applying with a team of 3 or more providers and we plan to attend this training as a team. Tuition per person $2,750 per person*. * This training is designed for DBT teams. You must attend with a team of three to eight people. We require a minimum total payment of 11,000 USD per team. You may pay for the application fee (to indicate your interest) by adding an App Fee ticket to your cart and completing the checkout process. Please note that we will cancel your application fee if we do not receive your application form(s) within 7 days of app-fee payment. Please have one of your team members submit all completed team and individual applications together to Support@behavioraltech.org. We prefer typed applications. We will review applications in the order they are received. Applicants will be notified of acceptance no later than November 15. Your tuition payment is due upon receipt of the invoice; if payment is not received, we may release your space to another applicant. Please contact us at 206.675.8588 to discuss any extenuating circumstances affecting your prompt payment. Application fees and tuition are non-refundable. Prices are quoted in U.S. dollars. We accept credit cards (Discover, MasterCard, Visa, and American Express), U.S. checks, and bank transfers. All payments must be in U.S. funds; we are unable to accept foreign checks. Please contact Customer Service at 206.675.8588 or at info@behavioraltech.org for more information about ACH or wire transfer payment options. Due to the comprehensive nature of this training, there are no cancellations or substitutions available. If extenuating circumstances arise that prevent full attendance, please contact us as soon as possible to discuss your situation. We will do our best to provide alternative options for completing training curriculum. For a complete list of Behavioral Tech policies and limits of liability, see policies. The number of seats for our open-enrollment workshops and our application-based trainings is limited by the physical training space that is reserved for the event. Please complete your registration or submit your application at your earliest convenience, as we will not guarantee a seat for you until we have received your registration or tuition payment. If you require special accommodations due to a disability, please contact Behavioral Tech at 206.675.8588 four weeks prior to the training so that we may provide you with appropriate service. This offering meets the requirements for the following hours by discipline. Licensing and continuing education requirements vary by state. Please contact your state’s regulatory authority to verify if this course meets your licensing or continuing education requirements. Inquiries regarding CE for other disciplines not listed may be directed to Behavioral Tech at 206.675.8589 or via email to CE@behavioraltech.org. Behavioral Tech is approved the NAADAC – the Association for Addiction Professionals, Provider #77431. You will receive a letter via email documenting your attendance upon successful completion of the activity. The allotted contact hours for this activity = 65. Behavioral Tech is approved a NBCC-Approved Continuing Education Provider (ACEP™), ACEP No. 5885. Programs that do not qualify for NBCC credit are clearly identified. The Behavioral Tech, LLC, is solely responsible for all aspects of the program. Behavioral Tech will email you a letter documenting your attendance upon successful completion of the activity. The allocated clock hours for this activity = 65. Behavioral Tech is accredited the Accreditation Council for Continuing Medical Education to provide continuing medical education for physicians. Nurses should only claim credit commensurate with the extent of their participation in the activity. Continuing Medical Education is accepted by the ANCC for nursing certification renewal. The maximum AMA PRA Category 1 Credits™ designated by Behavioral Tech for this activity = 65. At the end of the training, each Nurse must complete and sign the provided form to record the number of credits claimed. Keep one copy & return the other copy to Behavioral Tech. Behavioral Tech is accredited the Accreditation Council for Continuing Medical Education to provide continuing medical education for physicians. Physicians should only claim credit commensurate with the extent of their participation in the activity. The maximum AMA PRA Category 1 Credits™ designated by Behavioral Tech for this activity = 65. At the end of the training, each Physician must complete and sign the provided form to record the number of credits claimed. Keep one copy & return the other copy to Behavioral Tech. Behavioral Tech is approved the American Psychological Association to offer continuing education for psychologists. Behavioral Tech maintains responsibility for the program and its content. Behavioral Tech will email you a letter documenting your attendance after successful completion of the program and homework. The number of hours Behavioral Tech has allocated within APA guidelines = 65. Behavioral Tech will apply the NASW, Washington State Chapter, Provider Number 1975-166, to offer continuing education for Certified Social Workers. Behavioral Tech will email a certificate of attendance upon 100% completion of this activity. The hours of CE allocated for this activity = 65.